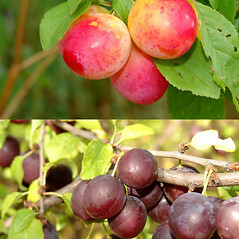 Damson plum is very similar to European (or "prune") plum, and was once considered a subspecies of P. domestica. 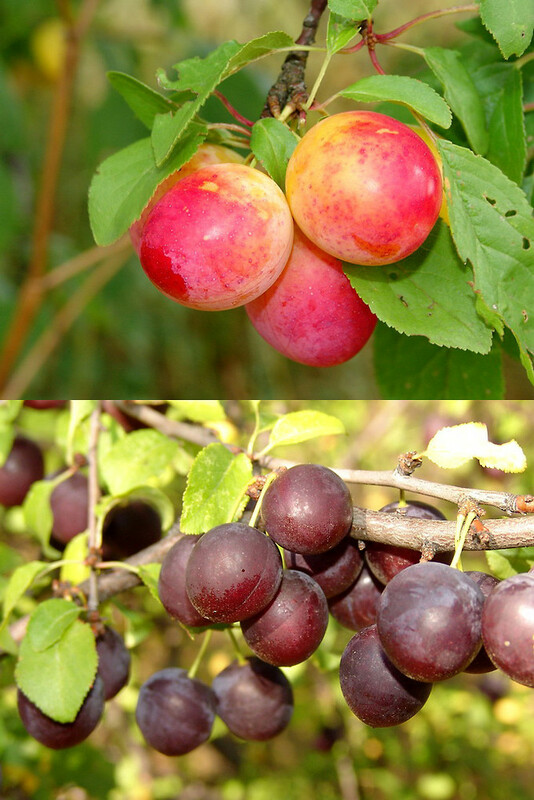 However, prune-plum has much larger fruits (4-8 cm or 2-3 inches long) and a flattened pit with a keel, which clings to the fleshy part of the fruit. 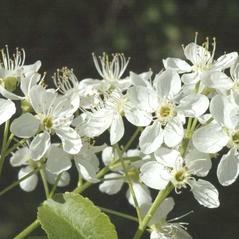 Native to Europe, this tree produces fruits with a slightly tart flavor that are very tasty ingredients in preserves. The species name refers to "plum of Damascus," where the fruit was grown and, indeed, spread with the conquering Romans across Europe. leaf blades 2–4 x 0.8–1.8 cm, drupes 10–15 mm in diameter, and endocarp rugose (vs. P. instititia, with leaf blades mostly 3.5–6 x 2–4 cm, drupes mostly 15–25 mm in diameter, and endocarp nearly smooth). Damson plum. Prunus domestica L. ssp. insititia (L.) Schneid. ; P. domestica L. var. insititia (L.) Boivin • CT, MA, ME, NH, VT Roadsides, abandoned homesteads, forests, waste areas. 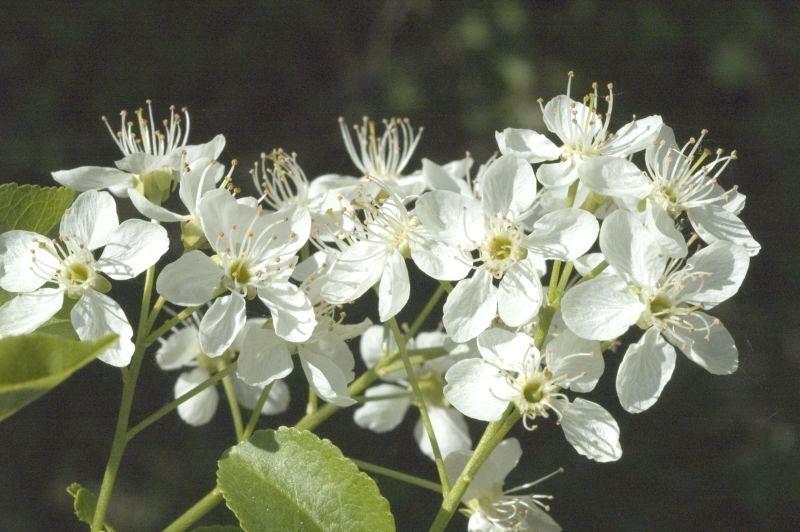 See Prunus domestica for additional diagnostic characters. This species was reported from RI by Kartesz (1999), based on George (1992); however, George (1999) stated it had questionable naturalization in RI and was unaware of any collections.